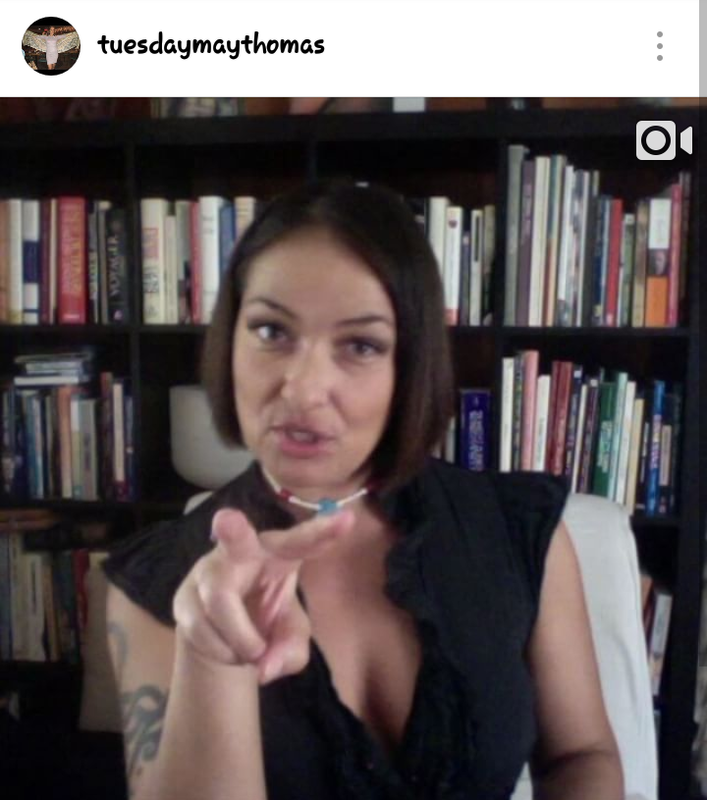 This is Tuesday May Thomas. I met her back in 2008, when I managed the Dancing Shiva Healing Center. Tuesday taught yoga and did many Reiki workshops there as well. I was blessed to join her during a Reiki Healing Circle and I was instantly hooked! A week before I was to sit in on my first circle, I discovered the first Reiki symbol (Cho Ku Rei) within me, as I drew a spiral over and over. After I had my first initiation, it wasn't long before I was receiving my final and Master Level download. Tuesday is a very sweet and kind soul, with Mother energy, which makes me feel safe. I had every Reiki initiation with Tuesday while I was pregnant! All 3 of my daughter's are Reiki students as well. 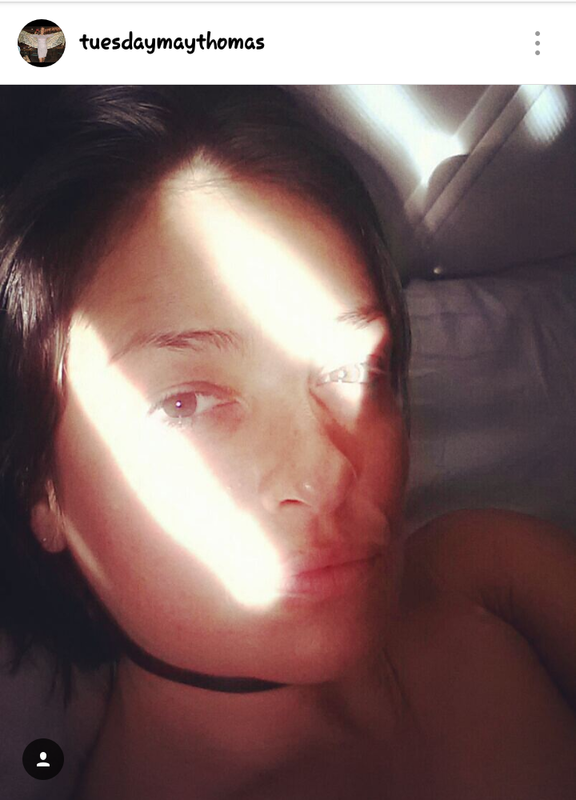 I had many trying moments during each of my 3 pregnancies and Tuesday was so understanding and patient with me. So much so, I sent my sister to her for healing. As well as my cousin, and my friends! 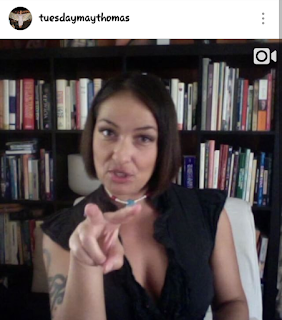 Tuesday also has weekly Tarot readings on her YouTube. They are always on point for me and my path! 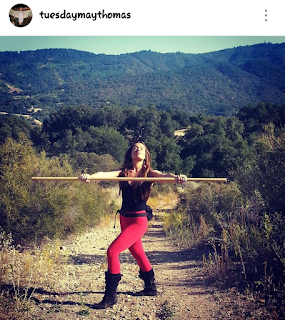 Find Tuesday on Instagram, where she shares her many talents, including her practice with a Ratan Staff! Just look at her light energy! Below is a photo of 2 inspiring souls. Tuesday, and Baba Ram Dass! 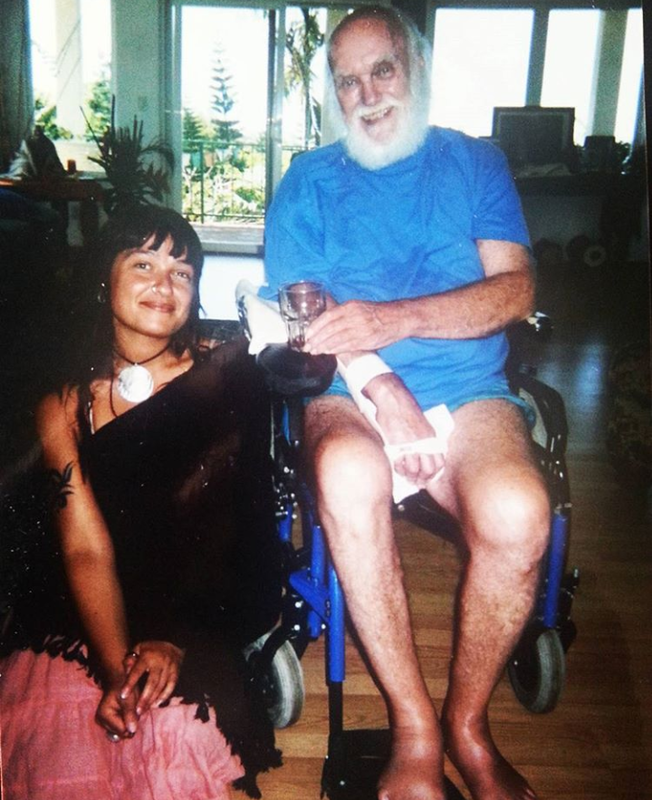 Ram Dass is a Master, who has changed my mind, and life forever. Tuesday has done the same, by holding space and allowing me to be. Both have excellent books to ponder! Be Here Now, by Ram Dass is a beautiful meditative book, with inspiring visuals and text. 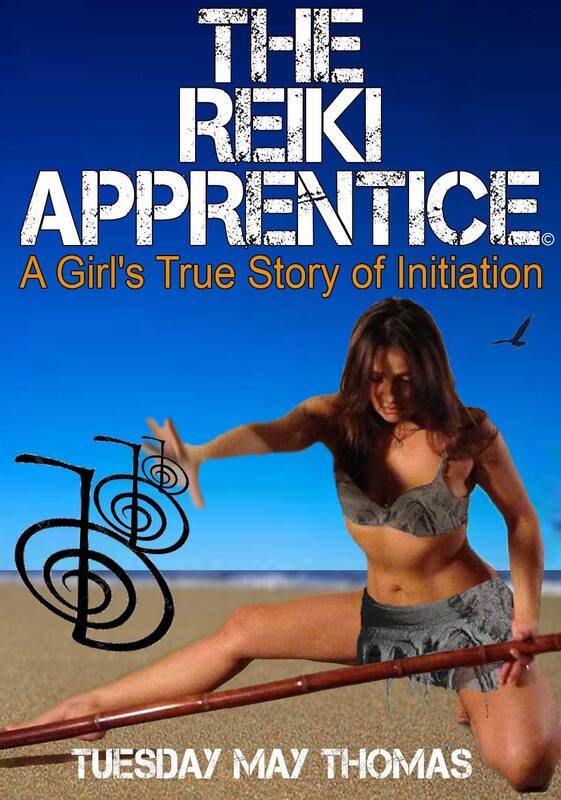 The Reiki Apprentice is Tuesday's first book about her Spiritual Path. It is filled with mystical tales, and trials of her first encounters on the path. I often peruse it's pages for messages when I need, or to remind me that I am not alone on this path. We all experience what we need, as we are ready. You can also find Tuesday on Twitter. Leaving you with this excellent crystal bowl aum meditation, guided by Tuesday. Breath allows Flow and you THRIVE.